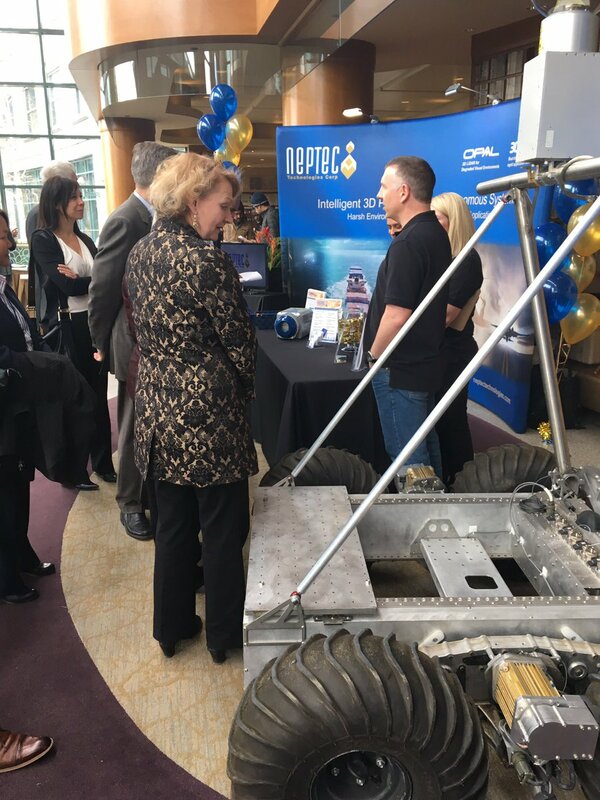 In celebration of National Autonomous Vehicle Day on May 31, 2018, the Kanata North Business Association (KNBA), together with Invest Ottawa and Canadian Automated Vehicles Centre of Excellence (CAVCOE), announced the development and launch of Canada’s first Autonomous Vehicle Technology and Innovator Directory. 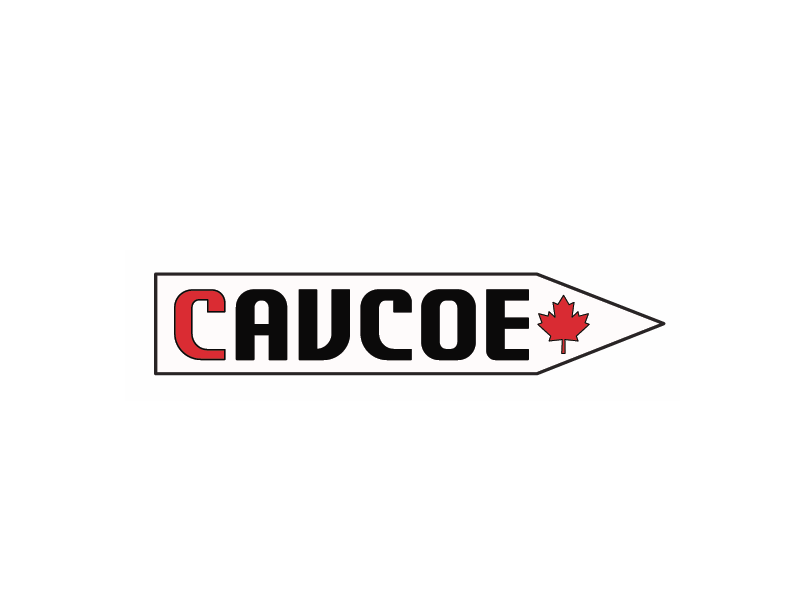 The first of its kind, this unique and valuable resource provides a comprehensive overview of the growing number of contributors to the Canada’s AV ecosystem. 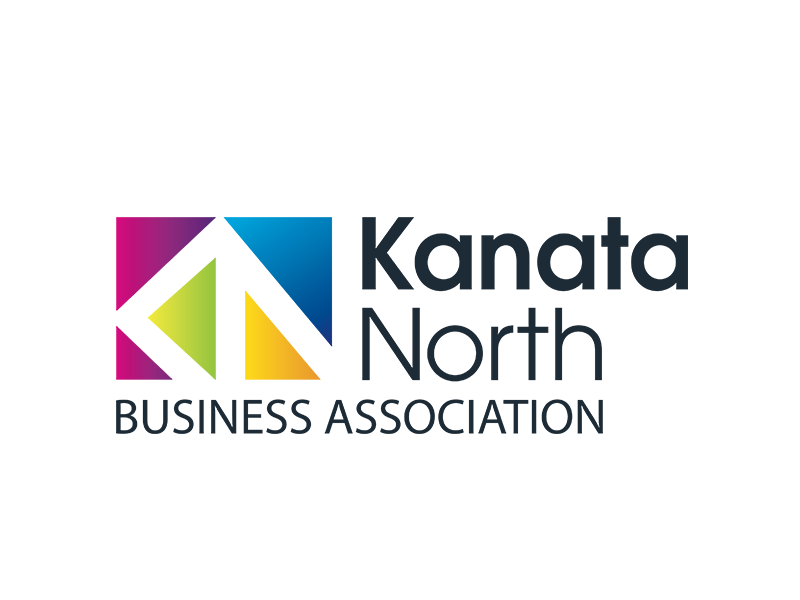 This will include innovators, companies, post-secondary institutions, and other organizations with AV technologies, solutions, and knowhow. 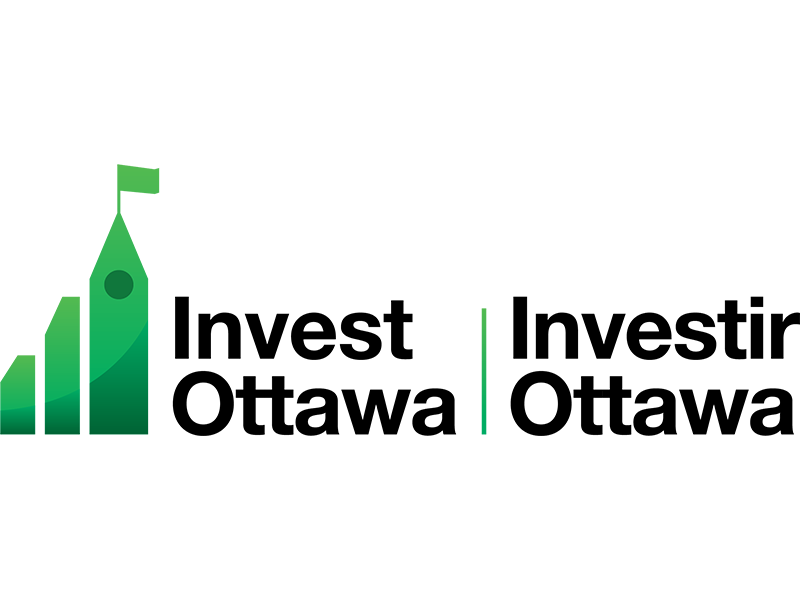 The City and BlackBerry QNX are working collaboratively with organizations such as Invest Ottawa and the Kanata North Business Association, as well as researchers and academics at Algonquin College, Carleton University and the University of Ottawa to further establish Ottawa as Canada’s AV capital. 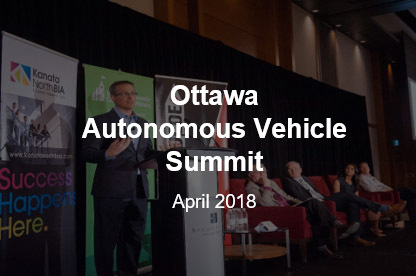 Together, these industry leaders will bring the emerging connected car and AV technologies, products, services and applications developed in Ottawa to the global market. 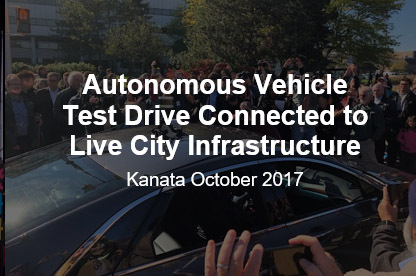 Ottawa is the first Canadian city to launch testing of an on-street autonomous vehicle (AV) communicating with live City infrastructure. By partnering with BlackBerry QNX and its Autonomous Vehicle Innovation Centre (AVIC), Ottawa now has the facilities and technology to further the advancement of driverless car testing on active public streets. 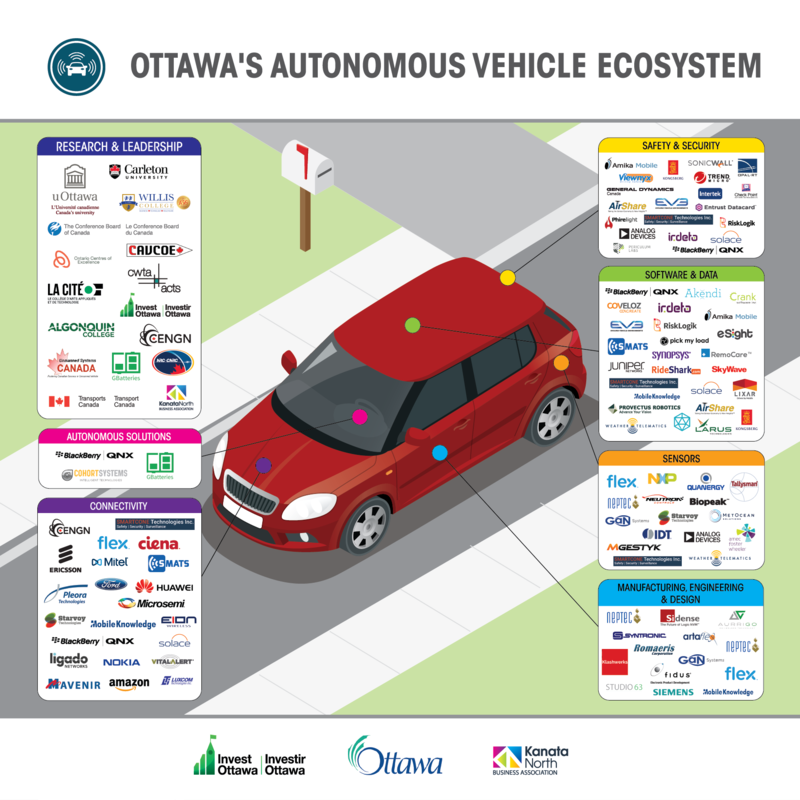 There are over 70 companies in Ottawa’s AV ecosystem, led by BlackBerry QNX, that are directly contributing their expertise, technology and intelligence to connected cars and autonomous vehicles. 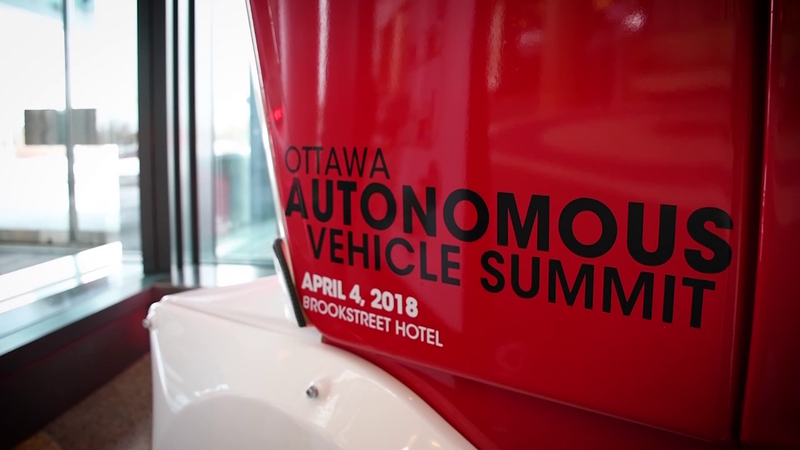 At the heart of Ottawa’s powerful cluster of advanced networking, software and IoT expertise for autonomous vehicles is Canada’s largest technology park – the Kanata North Technology Park. 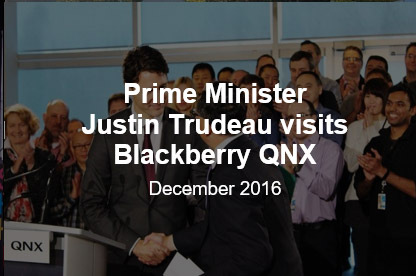 The test route, which loops around the Kanata North Technology Park, is equipped with the latest technology from BlackBerry QNX, along with Codha Wireless, Luxcom Technologies and NovAtel. The City’s Traffic Services have optimized the infrastructure within the test route area for communication with autonomous vehicles via Dedicated Short Range Communication (DSRC) transmitters at the traffic lights, re-painted street lines in the test area, and accelerated installation of controllable LED street lights. In the next phase, Nokia will be joining the testbed to add LTE and 5G capability to the route, based on their experience deploying connected car solutions in Germany and elsewhere. 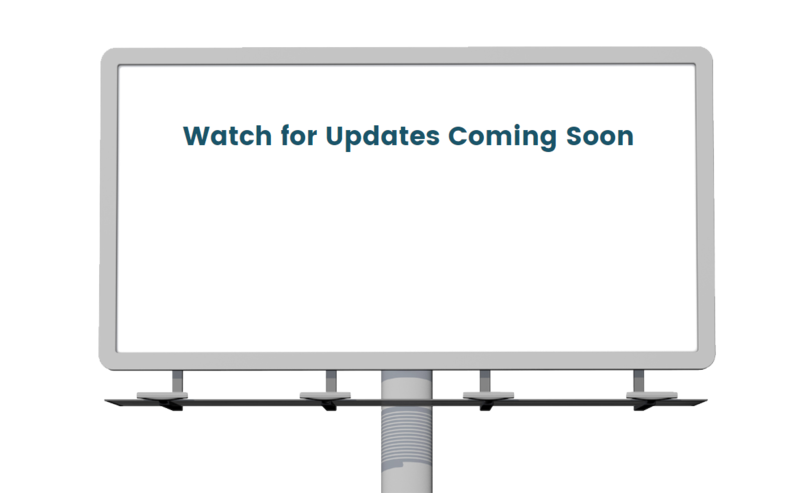 The City and Ottawa’s technology community are committed to working together to ensure that the testbed is continually being updated with leading-edge technology. 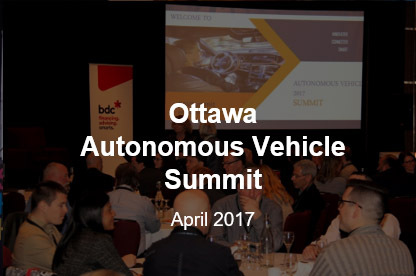 Want to learn more about AV innovation in Ottawa? 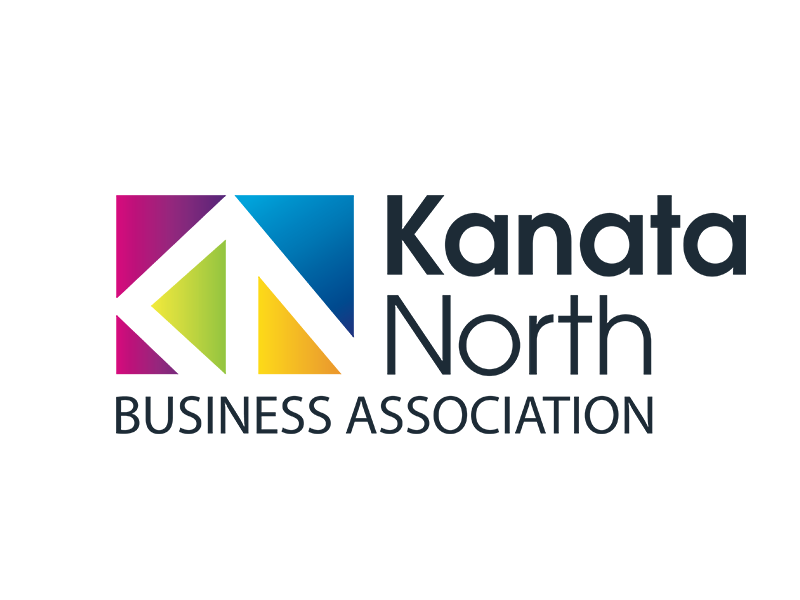 We are proud to support the researchers, technology developers and companies that are making breakthroughs – and making AV a reality! What are the benefits of autonomous vehicles? Other benefits could be realized related to the economy, innovation, infrastructure, environment, land-use planning, etc. 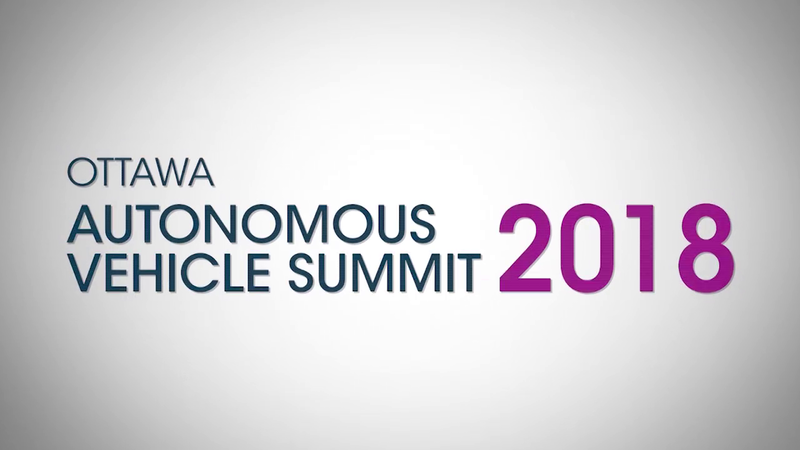 When will autonomous vehicles be available in Ottawa? Although fully autonomous vehicles are not available to consumers yet, semiautonomous driver assistance systems are. These include technologies like adaptive cruise control, lane assist, self-parking, etc. Once a fully autonomous vehicle becomes available to consumers, it will be able to be operated without driver intervention. Estimates vary, however some manufacturers predict that fully autonomous vehicles will be available to consumers between 2020 and 2025. What are the safety mechanisms in automated driving systems? A mechanism, easily accessible to the driver, that engages and disengages the automated driving system. if the driver does not or is unable to take over all the dynamic driving tasks required to operate the vehicle, causes the vehicle to safely move out of traffic and come to a complete stop. A mechanism that allows the driver to take over all the dynamic driving tasks required to operate the vehicle if the automated driving system fails or if the driver disengages the automated driving system. Also, the driver of an automated vehicle shall remain at all times in the driver’s seat of the vehicle and shall monitor the vehicle’s operation. Will self-driving vehicles be safer than human-driven cars? Yes, self-driving cars will be much safer than human-driven cars, but not perfect. 93% of traffic collisions involve human error. Barrie Kirk, executive director of the Canadian Automated Vehicles Centre of Excellence predicts as many as 80% of accidents could be eliminated with self-driving cars. 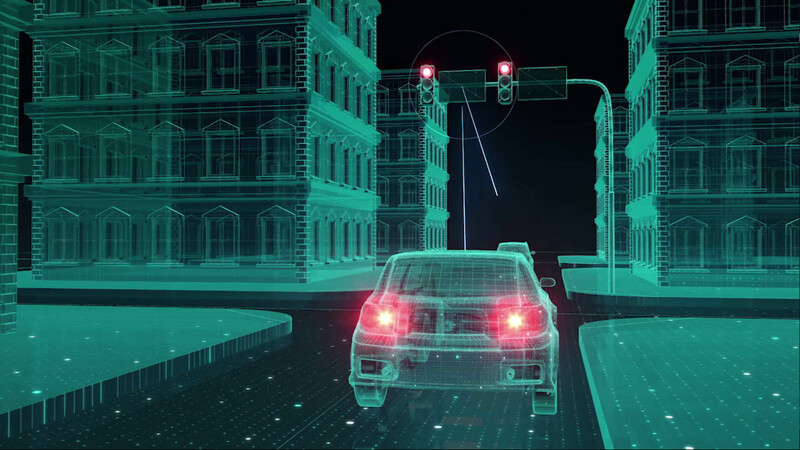 Vehicle-to-Infrastructure (V2I) technologies and systems facilitate secure communication between AVs and municipal infrastructure such as traffic lights, with secure communication enabled by a combination of specialized hardware, software, NGN capabilities and 5G networks. V2I refers to a wireless exchange of data between vehicles and roadway infrastructure. This exchange of data is typically bi-directional, allowing data from the roadside to be delivered to the vehicle, and data from the vehicle to be delivered to the roadside. 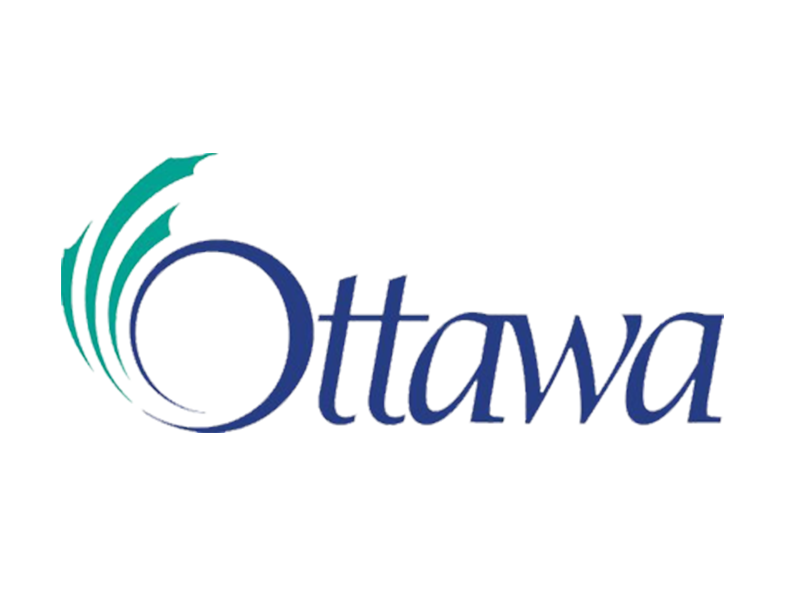 What types of future real-world testing scenarios is the City of Ottawa planning? the ability for ambulances and fire trucks to send a signal to the AVs telling them to pull off to the side of the road to provide right of way in emergencies. What about Uber? Haven’t they been testing AVs in Toronto? Uber has opened a Toronto research hub for AV technology, and their self-driving cars are on the streets however they are all always in manual mode. “Manual mode” means that although the cars have self-driving capability, they will be operated by human drivers. The cars aren’t available for rides, they are conducting mapping tasks. Uber hopes to test cars in autonomous mode by the end of 2017. What are some examples of disruptive technology for the AV market being developed here in Ottawa? 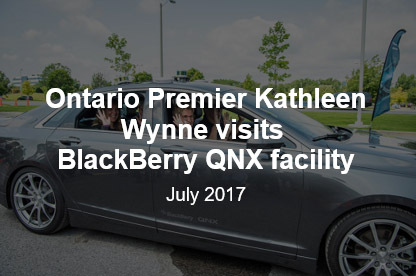 The BlackBerry QNX Autonomous Vehicle Innovation Centre (AVIC) was created to advance technology innovation for connected and autonomous vehicles, independently as well as in collaboration with private and public sector organizations and research institutes. Building on the company’s 20 years of experience and leadership in the automotive industry, the centre will germinate new ideas and transform innovative concepts into reality through advanced engineering projects and demonstration vehicles tested on real roads. Major components of IBM’s Watson, the internationally recognized cognitive system founded on Artificial Intelligence (AI) and machine learning, were developed here in Ottawa, largely thanks to IBM’s acquisition of Cognos Inc. in 2008. Watson contains the equivalent of 100 million books worth of information. Ottawa serves as the global headquarters for IBM’s Data Analytics. In 2016, Amazon launched an R&D and engineering office in Ottawa to develop key applications and solutions for Alexa, the AI assistant that powers Amazon’s voice activated Bluetooth speaker, Echo. Apple has also covertly opened an R&D office in Ottawa. 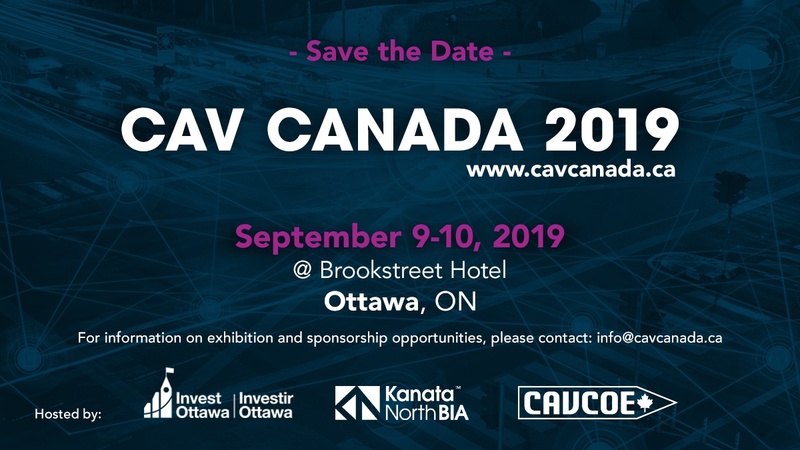 Want to learn more about why Ottawa is Canada’s AV Capital? Take a look at how our city is putting the pedal to the metal, and accelerating the innovation with lots of exciting news. The world is watching!